Hi everyone. 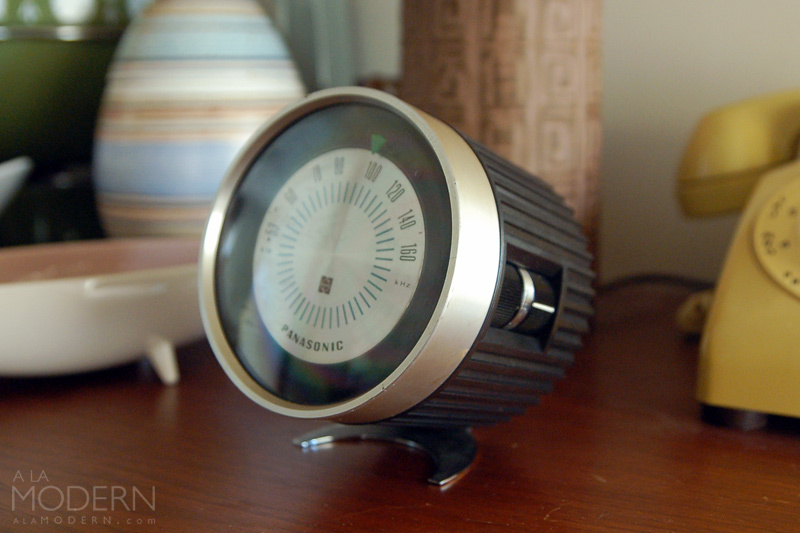 We had time to hit a few thrifts as well as an estate sale this week, with varying results. All of the goodies below were from an estate sale close to where we lived. I have to say that this is one of my favorite estate organizers. The prices aren't the cheapest - but the selection, layout and schedule is usually great. I probably overspent at this sale, but it's like I couldn't help myself this time! 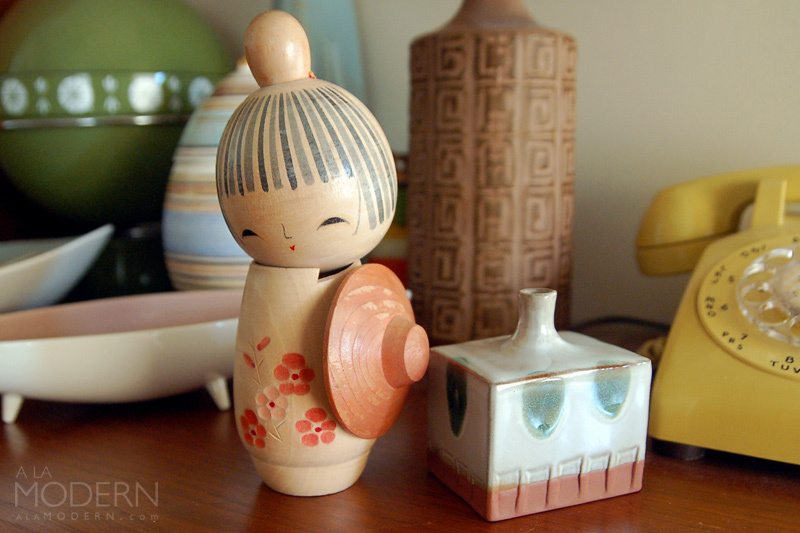 You know how it goes... the little Kokeshi doll may or may not end up in our collection. Unfortunately, I think this one might've had an umbrella originally that broke off. The little square vase looks like an Otagiri piece though it's difficult to tell. I was really happy to grab this little Panasonic AM radio - I usually don't see them in this good condition. Would have liked to find one of the brightly colored "Panapets" instead, but this one is still pretty cool. They had a number of other radios at the estate, but I only picked this one because it was smaller. I got all excited because I knew these were Schmid pieces designed by La Gardo Tackett. 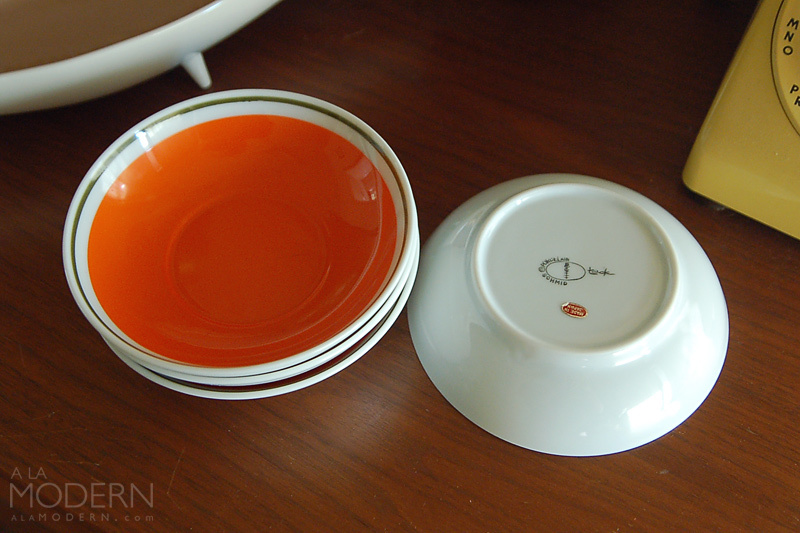 But I think they may be saucers - weird because they're extra deep so they could easily be used as bowls. I looked everywhere at the estate for the cups to no avail. 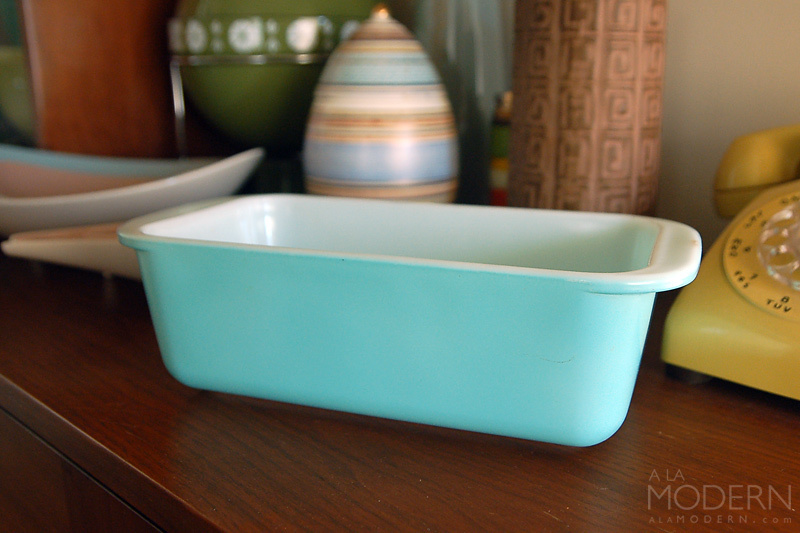 I nearly put this Pyrex Turquoise loaf pan back, but it was just too nice to leave behind. The last thing we need is more Pyrex for our collection right now! 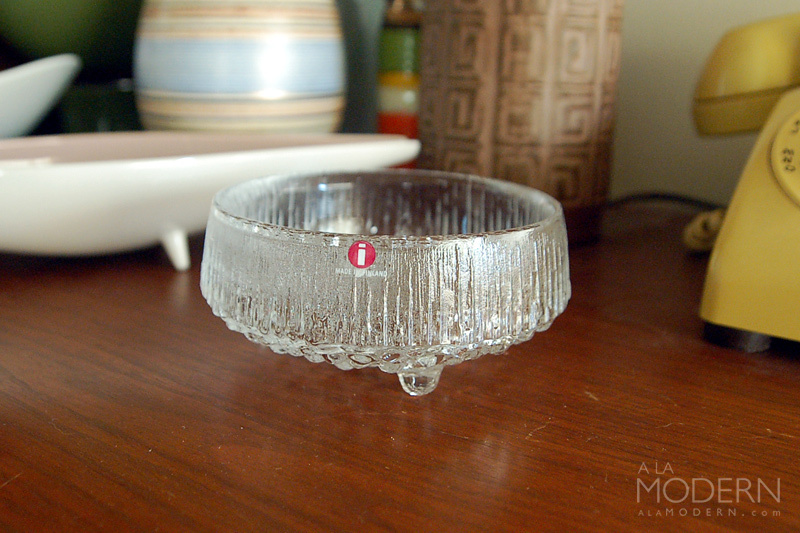 This Iittala Ultima Thule dessert bowl was difficult to resist, even though there was only one and it wasn't the cheapest thing. It's just really tough to come across for us - only the second time we've found it "in the wild". 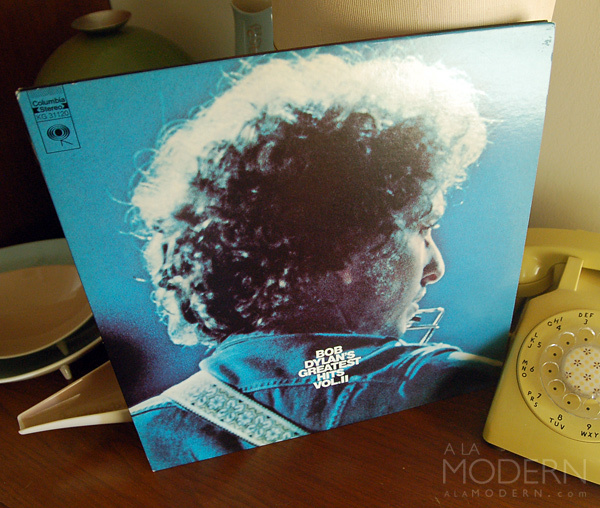 Last up - a Bob Dylan LP... nothing rare or valuable about it. But for a dollar - "I didn't think twice, it's all right." LOL. OK - another thrifting or estate sale post should be coming next week. We're still in the process of getting the other house ready to move into. Probably only 1/4 of the way there, if that! But looking to get a lot of stuff done in the coming month!